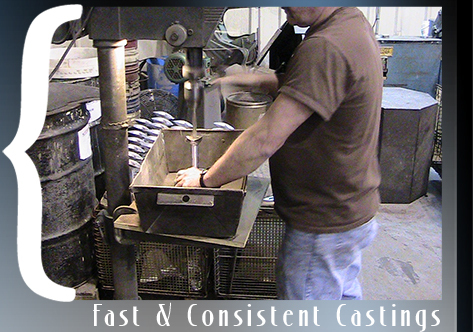 We specialize in but are not limited to relatively small castings (under 5 lb) and a wide range of production volumes. Our unique process allows us to produce very consistent castings with respect to finish quality and dimensional accuracy. We also produce the majority of our tooling in-house. Casting Alloys: 356 Aluminum ZA-12 Zinc/Aluminum Alloy. Other alloys, including bronze and iron can be available depending on volume. Casting Dimensions: Up to 10"x20"x 20" - depending on tooling geometry. Initial Casting Delivery: 4-10 weeks, depending on measurement requirements and tooling complexity. Machining: Tooling Design/Production, Workholding, Drilling, Boring, Tapping, Thread milling, CNC Turning, Finishing, etc. Value-Added Services Available: Heat Treatment, Painting, Casting Impregnation, Anodizing, etc. See Value – Added Services page for further details. 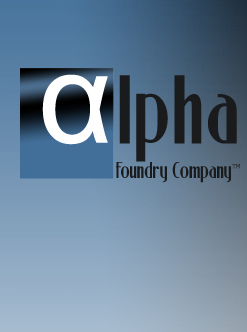 Please contact us about your casting or machining needs! Call 636.745.9379 or visit our Casting Quote page for your bid.